Fri., July 6, 2018, 3:41 p.m.
PHOENIX – A man recently imprisoned after being convicted of shooting at police in metro Phoenix in 2016 now faces murder charges in rural western Arizona where he is accused of killing three Washington state residents during the same year. 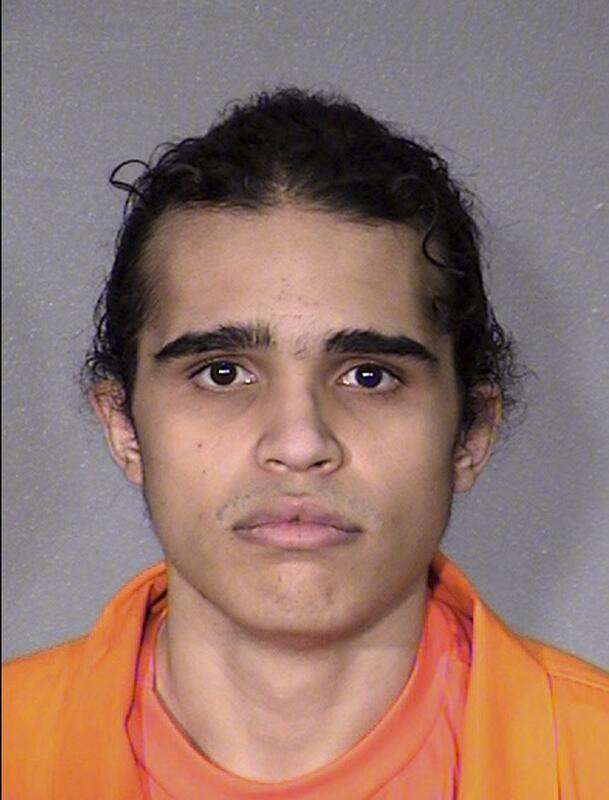 La Paz County authorities soon after the triple-homicide identified Kitage Lynch as a suspect, and court records obtained Friday indicate a 2017 grand jury indictment charging him in the killings while he awaited trial in the Phoenix-area case. The indictment does not appear in the state court system’s online docket, but it was obtained from the county Attorney’s Office. Chief Deputy County Attorney Karen Hobbs did not immediately respond to an inquiry about whether the indictment was sealed after being issued. Lynch was sentenced last month in Maricopa County Superior Court in Phoenix on April convictions for aggravated assault and other charges accusing him of shooting at police in Glendale just days after the La Paz County homicide victims’ bodies were found. Those killed were 78-year-old Lester Lindsay and 75-year-old Ella Lindsay, a married couple from Wenatchee, Washington, and 81-year-old Alice Boyd of Bingen, Washington. The La Paz County indictment charges Lynch with three counts of first-degree murder. Other charges include burglary and theft. A sheriff’s official told the Associated Press in 2016 that witnesses said they saw a person matching Lynch’s description “kind of wandering” near the area of the homicides and that investigators suspected Lynch somehow was stranded and that obtaining transportation may have been a motive for the killings. Authorities previously said Lynch had a vehicle of one of the homicide victims and a gun stolen from the La Paz County location when he was arrested in the Phoenix suburb of Glendale after allegedly shooting at officers who responded to a report of a man firing a gun in a field. Neither officer was injured. It’s not immediately known whether Lynch has a defense lawyer in the La Paz County case who could comment on his behalf. Stephen Crawford, his lawyer in the Phoenix-area case, did not immediately respond to an inquiry. Lynch has begun serving a 15-year prison sentence. He is imprisoned in Yuma. Published: July 6, 2018, 3:41 p.m.